Ukraine's Lesia Tsurenko recovered from the brink of collapse due to heat exhaustion to reach her first Grand Slam quarter-final on Monday, defeating Czech teenager Marketa Vondrousova 6-7 (3/7), 7-5, 6-2. World number 36 Tsurenko was a set and 0-2 down when she bent double on the Grandstand court, looking increasingly unsteady on her feet in the 33-degree heat and crushing humidity. "I was really dizzy and I asked nature or God or somebody please move the shade over faster," said the 29-year-old. "I just thought, OK, I need just five minutes. Keep fighting and I will feel better and that's what happened." "Now I need to rest and take an ice bath. I hate them but now I need it today." 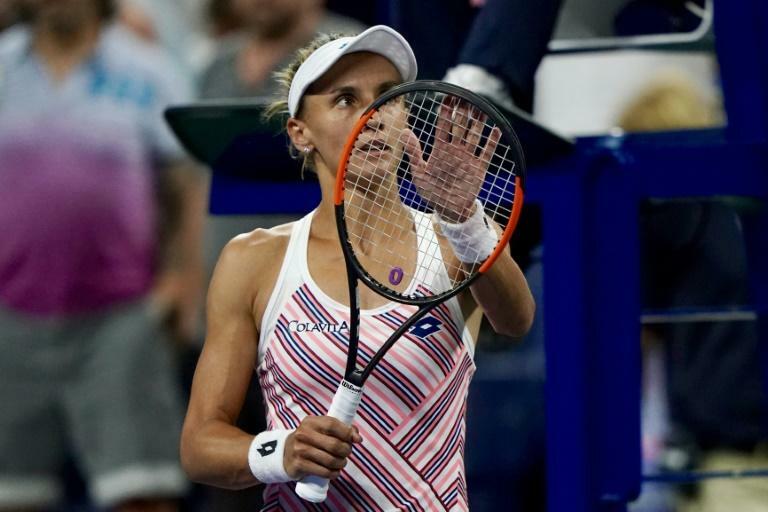 Tsurenko, who knocked out world number two and Australian Open champion Caroline Wozniacki in the second round, will face Japan's Naomi Osaka for a place in the semi-finals.